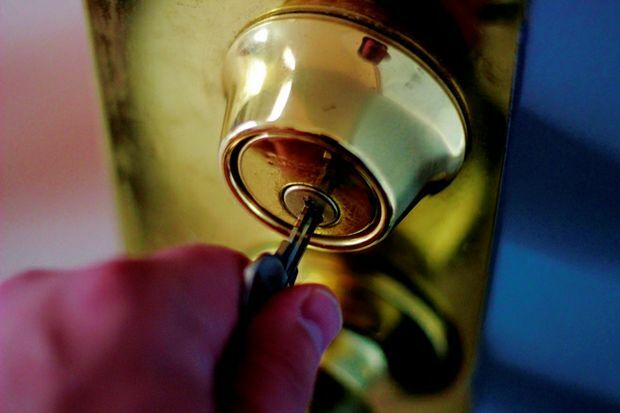 (Irving, TX) – With large numbers of families wrapping up summer vacations over the next month, homeowners may be asking themselves how to deter home break-ins before leaving on vacation. The greatest numbers of home burglaries occur during summer – in July and August – while families are away or enjoying more time outdoors, according to insurance industry statistics. Homes are burglarized about every 14 seconds and a homeowner loses an average of more than $2,000 in possessions and damages, according to the U.S. Department of Justice. Nearly 9 million property crimes take place annually, with losses of $15.5 billion, according to nationwide FBI crime statistics. In 2012, the largest percentage of burglaries consistently involved the theft of personal items (clothing, furs, and jewelry) and appliances or electronics (TVs, radios, DVD players and portable electronic devices), according to the FBI. 1. Never announce your vacation plans on Facebook, Twitter, Instagram, personal blogs or other social media platforms. 2. Lock all doors and windows before you leave. Use deadbolts, dowels, locking pins in sliding glass doors and windows to keep them from being pried open. Slowing down a would-be burglar will likely make them seek another home that’s easier to break into. 3. If possible, install a monitored alarm system in your home. Make sure your home insurance is up to date and provides adequate coverage if you own luxury goods, expensive jewelry and electronics. Check to see if you need an additional rider or floater insurance policy for those items from your AAA Texas or other insurance representative. 4. Keep the exterior of your home and yard well lit with low-wattage outdoor lighting. 5. Close and lock the garage door. Side garage doors should be solid, without any glass and equipped with a strong deadbolt. 6. Stop deliveries, mail and newspapers, or ask a trustworthy neighbor or friend to pick them up. Don’t let mail, including bank statements and credit card offers, sit in the mailbox to advertise you’re away and tempt a thief to steal your identity. Don’t let newspapers, even free local papers, pile up in driveways. 7. Use automatic timers with inside lamps and a radio. Set them to come on at random times. 8. Remove spare keys from outside your home, especially near the front door or under a welcome mat. 9. Trim front entrance bushes, including near windows. This eliminates a burglar hiding while breaking in. Have your lawn mowed while you’re on vacation to avoid the appearance of being away. 10. Keep some blinds up and curtains open to keep up normal appearances. Make sure valuable items are not visible from outside your windows. Put away personal documents, and place critical documents in a safety deposit box or leave them with a relative. Hide expensive jewelry or place in a safety deposit box at your bank. 11. If you’ve just moved into your home, change all locks, including the front door. 12. Many thefts are perpetrated by individuals who may have access to your home. If possible, conduct background checks and closely monitor those who may be working inside your residence. 13. Neighborhood Watch programs are great deterrents. If your neighborhood doesn’t have one, volunteer to start one with your local police department or ask a trustworthy neighbor to keep an eye on your home while you’re away. Twitter @VirginiaInTexas Hello, Can you please send us your full name and your contact information? We can look this up for you.